Share your work with ease. 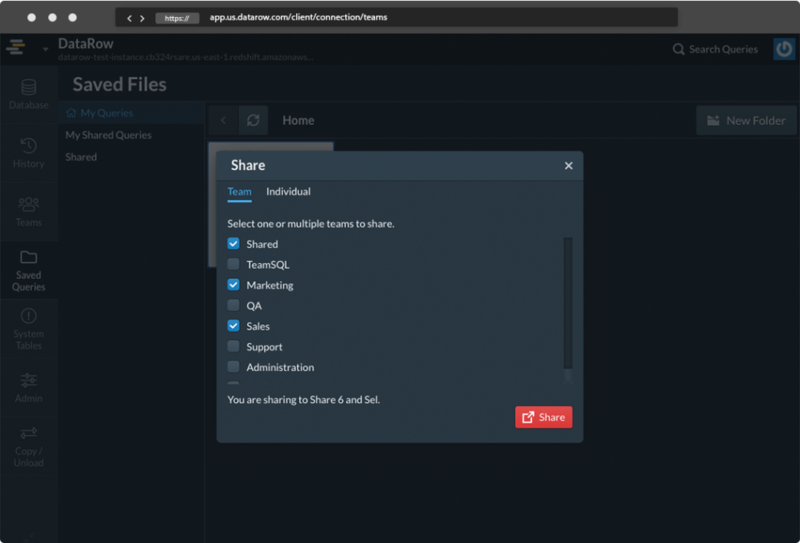 One of the most significant benefits to using DataRow is the ease of sharing your work with your colleagues, either individually or with teams. Rather than going through the traditional practice of exporting your query, saving it somewhere, and then forwarding the access directions to your colleagues, you can let DataRow do the job. 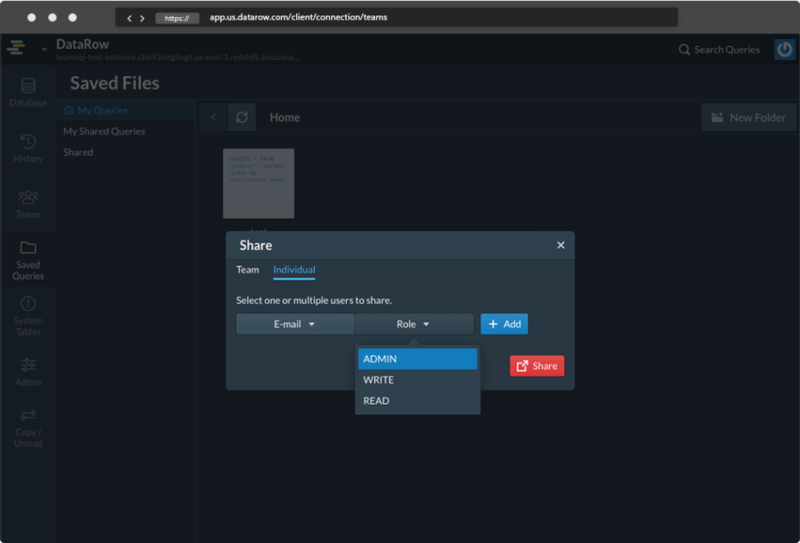 Teams feature helps sharing your saved folders or your queries with a group of people all at once. All of this happens without having you to export your data and send it. In addition to collaborating on your work with teams, you can also share with individuals. You can identify such users by providing DataRow with their email, and specify roles.